The world needs many meditation masters if you have a compassion you can be one. This 100-hour meditation teacher training is designed especially for those people who want to share the beauty and light of meditation with the world. The purpose of this training is to make you capable to design, develop and hold your own two to three day’s meditation retreat, one/two day’s meditation workshop, 2-4 hours meditation sessions and corporate meditation training. This training will develop a deeper level of understanding about meditation, meditative energies, and different meditation techniques. This program also works as an effective tool for your own self-discovery. During the program, students discover their own light and uncover the hidden master in them. You can design, develop and hold intensive 5 or 7 days Meditation retreats, Mindfulness retreats, Emotional Wellness retreats, and Chakra Therapy retreats. It will prepare you to work as a personal meditation therapist. It will give you the required insight to experiment with meditative energies and to develop your own meditations. How is the course designed? The course is designed in a way to prepare you to share the beauty of meditation with the world from the day one of completing your training. The Class – making students comfortable, making the class interesting, how to answer student’s questions, taking care of the minute things, making it an amazing experience for students. The Market – The right content, The perfect naming, The right approach to promote, how to recognize the target group. The Support – After program support, follow-up. What meditations will we teach? We will teach you Guided, Active and Passive meditations ranging from Yogic, Vedantic, Tibetan, Sufi, Zen and the meditations given by Lord Shiva in ancient Vigyan Bhairav Tantra Tradition. Synchronicity meditations with natural elements like full moon meditation, five elements meditation, light meditation, color meditation, and Chakra energy related. Meditative breathwork techniques from Buddhist, Sufi and tantra traditions to immediately calm the mind and enhance the energy level. Dance meditations like chakra dance, kirtan, inner expressions. What would the training cover? every other related aspect will be covered. What is being in Meditation? How to get in and come out of Meditation? Along with the practical training to handle the energy of the participants, how to align their expectations to the delivery, how to make them open and connected with the flow of activities and so on. The course is structured around four levels of mindfulness/awareness, which we need to develop in order to achieve the fulfilling life/spiritual growth. These are Mindfulness on Physical, Mental, Emotional and Spiritual Levels. On each level we understand the science/philosophy, do activities/exercises, Do active/passive/guided meditation and then move to the next level. So it’s a very comprehensive and properly structured program, which helps a practitioner to develop a very scientifically proven practice. This approach saves the practitioner from any psychological / emotional side effects. It also proves as a great self-discovery/transformation journey for the participants. The training is completely interactive and practice-based. The training happens in a completely non-judgmental and supportive manner. 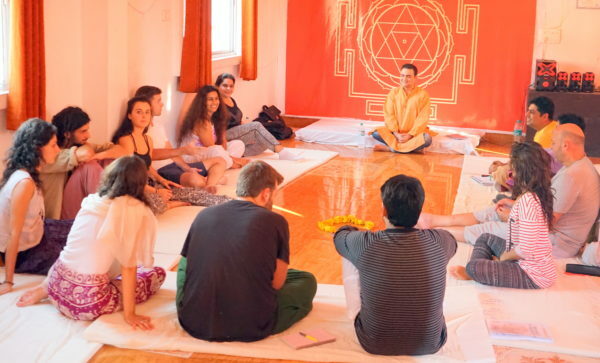 All the meditations and techniques are practically experienced by students as a seeker as well as a teacher. Each meditation is described for why to do this meditation, what will be the effect and what are the variations. Each session is followed by student’s questions and feedback. Students go through a daily ‘live practice’ of designing, developing and taking sessions. The training space is created based on awareness and presence where students can ask, recognize, share and question their feelings and purpose together in a playful and lighthearted way. Dev OM is a friendly meditation master, author, and a Himalayan yogi. Dev OM has taken trainings and given talks in 30 countries worldwide. He has helped several thousand of newbies to turn into meditators and has given spiritual coaching to hundreds of people in his 14 years of working. He has 12 published books on meditation, chakras, energies and spiritual evolution with half of them being Amazon bestsellers. Learn at the best place! On the banks of Holy river Ganga in the Himalayas in Rishikesh, India. 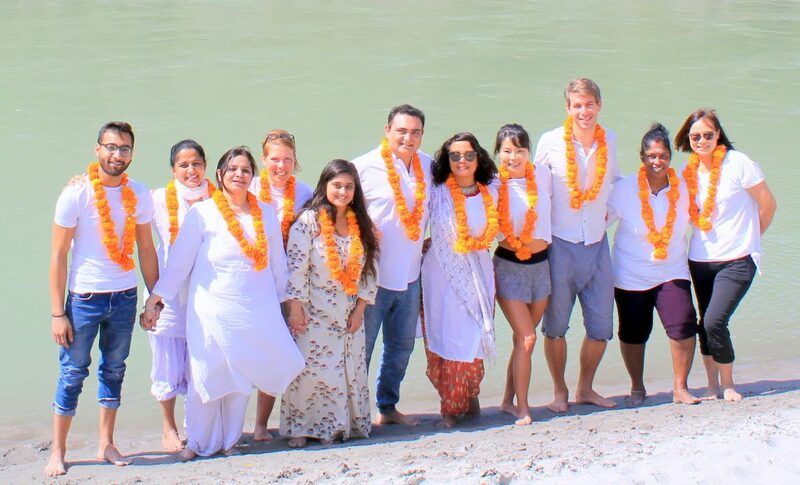 Ganga Dham is a very beautiful serene ashram with great spiritual energies. Just living there is healing and meditation. It is a perfect place to dive deep into the process of discovering your inner master and to become able to share and teach the meditation to the world. I am new to meditation. Can I join? Yes absolutely. Our course is designed to support a newcomer as well as an experienced meditator, and in fact, it will help you to develop an authentic spiritual practice in your life. Who is not allowed to join our meditation teacher training? People who are suffering from major health conditions. People who are recovering from surgeries or serious health issues. People who are younger than 18 years. People who are having any kind of addiction to alcohol or drugs of any kind. People who are suffering from severe depressions and anxiety. People who are on any regular medication. People who are chronically suffering from high or low blood pressure. People who are having arthritis, spondylosis or anybody who cannot sit the on floor for hours, or handle activity for 8 to 10 hours. Psychic Medium healers who channel energies & angels during meditation are also not allowed to apply for this training. If you are the one who is becoming aware of the shift in your energies, you are open but don’t want to follow any tradition while still experiencing the depths of meditation then we are the right choice. You will learn meditation – in depth from all the ancient tradition but presented in modern style. Something, which is practical and with which the new age human can relate, can enjoy and can adopt in their lives. We are a dedicated Meditation school. All our activities, pieces of training and courses are focused on meditation and building up a meditative life. Our founder is a world-renowned meditation master who has dedicated his life to spreading the light of meditation in people’s life. He has a rich and experience of taking meditation classes/talks in 30+ countries, having 12 published books and have guided several thousand people into meditation in his 14 years of working. Many other schools are basically yoga schools that have also started offering meditation teacher training in the last couple of years. They are having their hands full of other kinds of courses and they hire people from outside to take classes. These schools are not dedicated only to meditation training. It surely makes a great difference to do one thing dedicatedly as a core focus rather than having your focus distributed among different things. 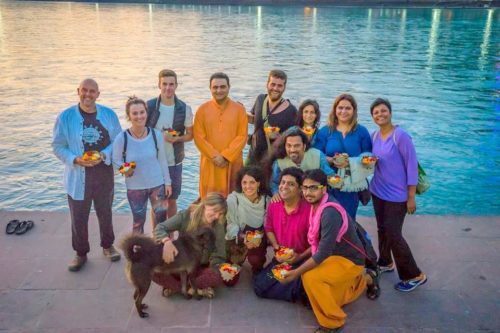 Amazing time of simple friendliness, total acceptance of your being, nonjudgmental atmosphere, sense of increasing peace and bliss inside and the abundance of pure Himalayan meditative energies. Discovering your inner strength and true potential. Becoming deeply connected with your true Self. Authentic and heartful teachings from the renowned meditation Masters. A complete practice, learning, teaching, being inspired by everyone in the group and share your inspiration in return. Develop a lifelong friendship and be part of an amazing support group with your fellow participants from all over the world. A shift on a higher spiritual level in your practices. A great improvement in your communication skills where you will start to speak from your heart, can express yourself honestly and clearly, can understand others truthfully and be understood. Breath-work master training is independent of meditation teacher training. It includes breathing techniques from Vigyan Bhairav Tantra, Sufi breathing techniques, Yogic breathing, Power breathwork, Zen breathing, Mindful breathwork etc.. total of 25+ techniques. and it happens after the meditation teacher training separately for 2 days. These breathwork techniques are very powerful which take the practitioner from his/her external physical awareness/mindfulness to the deeper connection of the consciousness and then giving the experiences of connection/oneness/synchronicity. This is also a very quick and strong techniques for corporate trainings and to deal with people who are very mind-oriented and have difficulty experiencing subtle things or energy flows. No-one can deny the breath and they feel the immediate meditative/mindfulness effect. Delhi- 1. E-297, GK2, Main Road, New Delhi. India.